How do you follow a performance and result like last week against the All Blacks? It’s a question many fans have been asking as USA Eagles visit Dublin to conclude the November international window. It’s not one however which has been on the lips of the Irish management and players at Carton House this week. Joe Schmidt’s side are hot favourites to make it a clean sweep for the month and finish an incredible 2018 on a winning note against a side that has never lowered Irish colours in nine previous meetings and whose exposure to tier one opposition is limited. 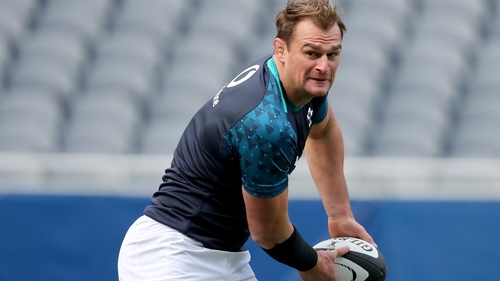 Rhys Ruddock will lead out a much-changed Ireland team at the Aviva Stadium and says the bar has been set this month and the fringe players must match that tomorrow. "It’s a massive opportunity to finish this series on a high, and doing it in front of a full stadium isn’t something we take lightly," he told RTÉ Sport. "The main thing is to live up to the standards of the group. The way we have prepared and trained, we have been living up to that. That has a big part in determining the performance on Saturday." The Eagles will be looking for what would be a significant scalp, though motivation won’t be in short supply for the men in green looking to catch Schmidt’s eye. The day will be extra special for the Leinster flanker. Only half of his 20 caps have been from the start, but six of those have been as captain. The 28-year-old is humbled to lead the team out again, but with an embarrassment of riches in the backrow, would he trade captaincy for more outings? "It’s a tricky one," he says. "It’s a massive honour to be captain, but like any player within the group, you want to play in the big Tests." Of more immediate concern is getting the job done against the Eagles, who have won their last nine Tests. The jittery 23-20 victory over Fiji last November, where Schmidt also rang the team changes, demonstrated that it might not be as straightforward as some are predicting. 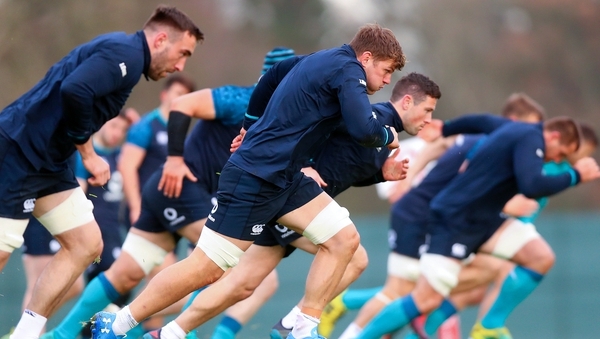 Perhaps drawing on the experience of that game – the backrow of Ruddock, Jordi Murphy and Jack Conan is also selected for tomorrow – the flanker says game management will be key. "We need to be smart in how we play the game, playing the right game at the right time." Should they achieve that, Ireland should sign off 2018 on a winning note.